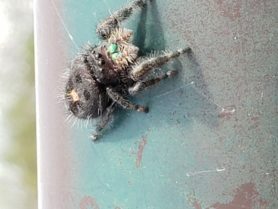 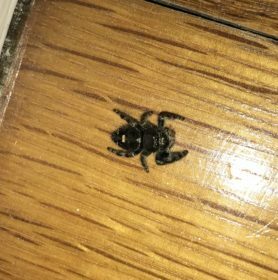 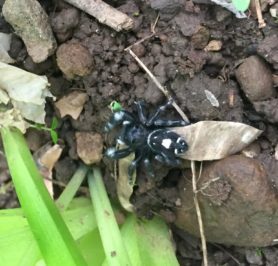 Hi, this looks like Phidippus audax (Bold Jumper). 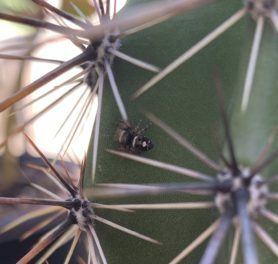 P. audax and P. regius are very similar looking! 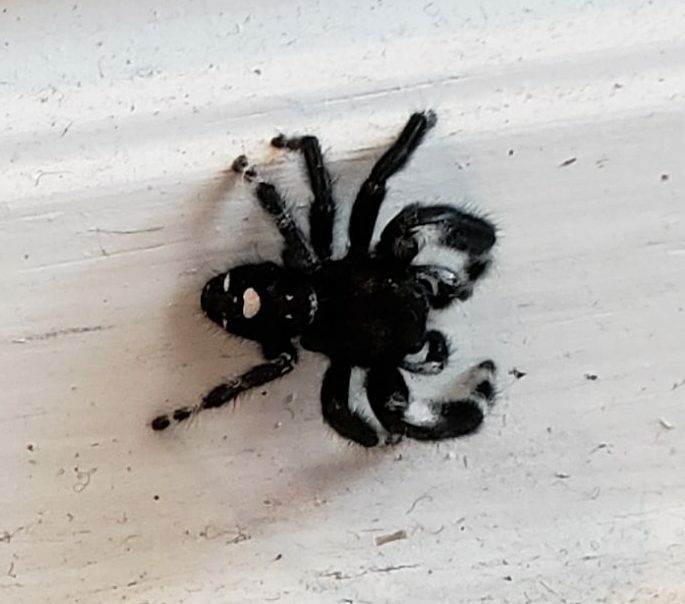 The white spots on the anterior abdomen are usually rounder on P. regius, and of the two P. audax is much more common in Texas.